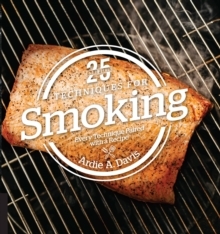 There's no replicating the fall-apart goodness and smokey flavor and aroma of perfectly smoked meat, you need a smoker, and you need 25 Essentials: Techniques for Smoking. 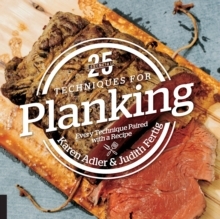 So you've just purchased a new smoker or grill. It's time to expand your repertoire backyard cookout skills and learn how to use it like a seasoned vet. 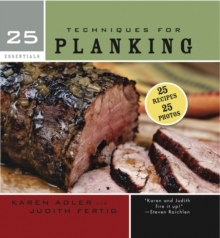 Just imagine the perfectly tender briskets, pork shoulders for pulled pork, the myriad of ribs you'll be cooking up. 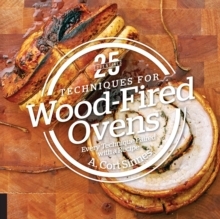 Grab some wood chips and a copy of 25 Essentials: Techniques for Smoking, because it's time to get cooking. 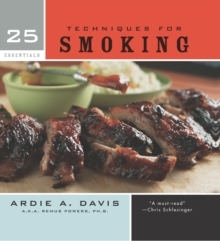 This guide book to harnessing the power of your smoker gets into the nitty-gritty techniques every good grillmaster needs to know, like the best way to slow smoke ribs, basting and smoking meat to peak excellence, smoking whole vegetables, and the finer points of mopping and brining your fare. So what are you waiting for? Get smoking and get eating.